The commercial printing, package converting and digital sign show, is happening concurrently with PacPlus South from 10-13 April 2019 at BIEC, Bengaluru. 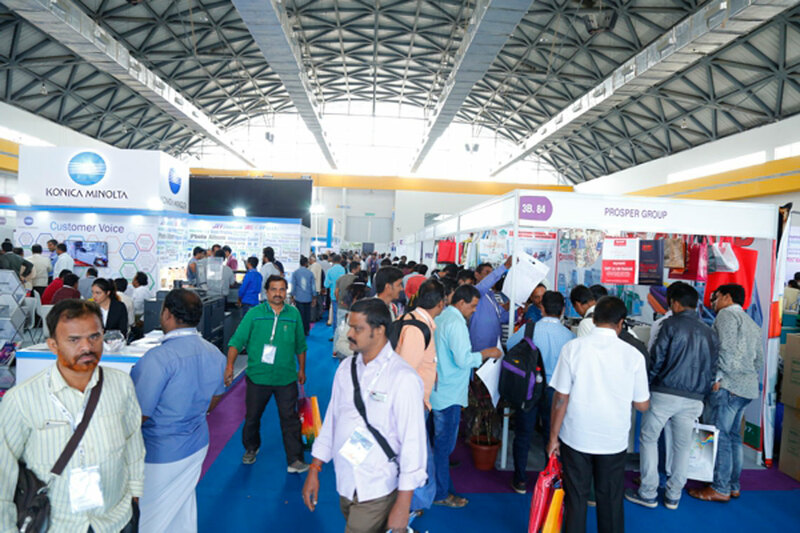 PrintFair is organised every alternate year at Bengaluru, giving the printers and converters an opportunity to identify and explore business opportunities lying in the area. The Indian Printing Industry, growing at a rate of 12% per annum, comprises more than 250,000 big, small and medium printers. The current annual turnover of the industry is more than INR 50,000 crores (USD 11 Billion). The booming Indian economy, increasing consumerism, entry of global brands in the country and opening of the sector to foreign investors are bound to offer growth opportunities to the industry. The event will be attended by Package, label and commercial Printers; Converters, machinery for corrugated box & box manufacturers; Printing & print buyers; Publishers, owners of commercial newspapers; Production / quality control managers; Design houses, art directors & production managers; Graphic designers; Packaging development manager; Print shop managers and Printing technologists. Leading industry players like NBG Printographic Machinery Co. (P) Ltd.; Xerox India, Monoprint Digital Equipments; Outabox Media Solutions LLP; Compact print Tech; Max Print Engineers; Prosper Group; Print Max Technologies; Riso India (P) Ltd.; Tech Master Engineering; Konica Minolta Business Solutions India (P) Ltd.; Prizm Holography And Security Films (P) Ltd.; Reves Technopack; Photokina Chemicals (P) Ltd.; Dizario Industries; Polyplex Corporation Ltd.; Learn and Design; Sree Venkataramana Graphics (P) Ltd.; Abhikruti Digi Soft, Zhongke India are already on board. More than 250+ exhibitors shall be featured at PrintFair and PackPlus South 2019. With the recent collaboration with Karnataka State Printers Association (KSPA), which has extended its support to PrintFair, several promotional road shows are being planned in the chosen areas of South India. Only a few weeks to go, plan your presence today! Write to shantanu@nextevents.in for any further query!